Swivel rear wheels allow for crazy stunts! Known for their exceptional quality, the Bullet Kids Scooters are carefully designed to be safe and fun for your children. Not only that, it helps kids discover and try something new while enhancing their balance and creativity. Getting your children outside away and from gadgets and computers has never been this easy. These scooters are reason enough to enjoy fresh quality air which is essential in achieving good, healthy and wholesome fun. The Bullet Kids Scooters are available in different fun colours and designs. They combine safety and modern features, guaranteeing kids of all ages a healthy physical enjoyment whenever, wherever. Each unit is powered by a dependable motor that can easily translate into smooth acceleration. The soft grip handles offer supreme comfort to give you full control as you swiftly cruise the roads. The Bullet Kids Scooters are packed with many amazing features. The high-tensile but lightweight steel frame ensures durability and portability, while the steel shocks and oversized tyres are designed to give you fuller control. The massive disc brakes are there for safe riding, while the quick-release handlebars are adjustable to easily suit your height requirements. It is very easy for anyone to appreciate the Bullet Kids Scooters. They are great for city commuting because of their foldable, lightweight design. 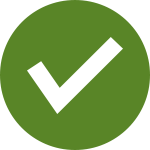 Carry them on buses and trains, or fit them snugly inside the trunk of your car. At night time, safety is never an issue thanks to their high-output LED head and tail lights. Bring them with you to work or school, and you’ll never have to worry about tiresome walks just to reach your destination. Aside from kids scooters, Mytopia also caters to the needs of a more mature audience through their fine collection of Adult/Teen Scooters. We also offer other toys and hobbies such as Ride On Toys, Trampolines and Basketball Stands. You can also find a collection of Doll Houses, Sand Pits, Cubby Houses, Baby Playpens, Wooden Train Sets and Toy Kitchens. Make your kids spend some healthy quality time outdoors. 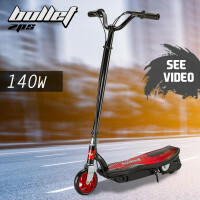 Order a Bullet Kids Scooter today!